In our call today, Samara and I discussed basic link building strategies for her niche site project 3 site. On one hand, some people feel like link building is so critical to a sites success; on the other, you have people that never do any linkbuilding and do really well with niche sites. I personally tend to be somewhere in the middle. I don't believe that link building is the most important activity you can be doing on your site. I think keyword research and creating great content is the most important activity. However, I do see the value in getting links as well…this is clearly a huge ranking factor in Google. However, I'm a strong believer that your most valuable links are going to come naturally. I have several sites that I've never done a single outreach or link building “campaign” for that have thousands of links. So, it's not that I don't think links are important (they are)…I just don't believe that it's always necessary to personally put in the effort to get every single link. Lots of links will come on their own…if you do things right. So, in our call, I tried to stress to Samara that aggressive link building is not needed. We are just going to do some things to make her site really easy to link to and get her content out into the web world. By doing some of these initial steps (setting up social media accounts, RSS, etc)…more eyeballs are more likely to see and link to her content. We also discuss where she can go to study and learn about more advanced link building strategies…which we will discuss more in the future. But the overall message here is that we are just going to sprinkle a few links in every once in a while. 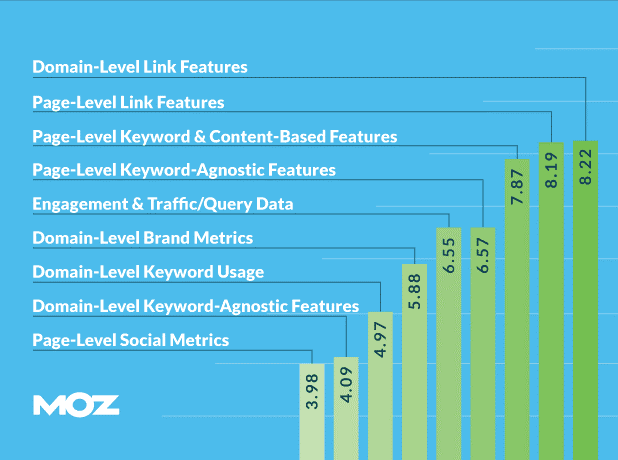 Link building is not going to be the majority of our focus, most of the time. Just a few links here and there can go a long way. We’re about to embark on a whole new phase of the project: linkbuilding! This is something about which I know absolutely nothing. I’ve never built a link in my life, so learning about the process and hearing some basic strategies was eye-opening, to say the least. Although it’s true that not all links are created equal, Spencer said to just go out there and get some—dofollow, nofollow—it doesn’t matter. That’s kind of a relief. As it’s my first foray into this new territory, it’s nice to not have to worry about too many details. I also have to say I like Spencer’s approach: he advocates friendly outreach with a view to building a relationship and with no ulterior motive, as opposed to aggressive linkbuilding. That’s the strategy he has used for nichepursuits.com and longtailpro.com, to much success. That sounds great to me; it seems a lot more natural. As he says (and points out on Jon Cooper’s exhaustive PointBlankSEO blog post), there are tons and tons of strategies, but you don’t have to be doing all of them all of the time. His “salt shaker approach” is right up my alley: you get a few links every month, and that’s it. It’s not going to be our main focus. He gave me a handful of strategies to start out and get some quick and easy links. This includes submitting my RSS feed to some quality RSS directories, setting up social media accounts and linking back to my site, reaching out to family and friends with blogs and asking them to link to me, and leaving relevant comments on blogs with the Comment Luv footprint. This all seems pretty straightforward, although lots of things seem that way until you get dug in and realize that they’re just the opposite (like my friend WordPress, for example!). Anyway I like the sound of this; I feel like I’m dipping my toe into the linkbuilding waters. It’s a nice way to ease into the whole process, which seems slightly overwhelming—at least to a noob like myself—given the sheer number of strategies and their complexity. I’m ready to get to work and see how this whole linkbuilding thing works. There are, of course, sites that do lots of serious linkbuilding, and you also hear about sites that do none at all and still do really well, so I am looking forward to taking the plunge and seeing what it’s all about, how it works, and most of all, how it affects my growing niche site! You can watch the full video of the coaching call below. If you would rather just listen to the audio, you can download it here. Let’s try to stay as “white hat” as possible. I’ve never done a “link building” campaign for NichePursuits.com or LongTailPro.com. I’ve just done simple outreach to truly build relationships with no intention to get a link. Claire Smith truly only publishes content and has a five figure a month business. Let’s use link building like salt for our steak. We’ll just sprinkle a few links in on a monthly basis. Outreach (after you do something worth reaching out for). Submit this feed to a few RSS directories! Assignment: Submit your RSS feed to at least 5 directories (focus on the higher quality directories). Consider other Profile accounts (LinkedIn, Google+, etc). Assignment: Get 4 social media/profile pages set up and link to your site. Ask family and friends or online acquaintances if they will mention your website on their website. If they want you to write an article for them, go for it. Usually lower value, but a good way to get some links and start relationships. We may need to do additional calls to review more advanced strategies. However, most of these tactics are well explained in blogs posts that can be found with a simple Google search. Assignment: Review Jon Cooper’s list: http://pointblankseo.com/link-building-strategies and decide on 2 or 3 more advanced strategies that you would like to try in the future. Bonus Assignment: Read some blog posts on the 2 or 3 tactics that you decide on. Submit your RSS feed to at least 5 directories (focus on the higher quality directories). Review Jon Cooper’s list: http://pointblankseo.com/link-building-strategies and decide on 2 or 3 more advanced strategies that you would like to try in the future. Themes, Plugins, and Content Strategy for Niche Site Project 2: Coaching Call 5! I have never set up my RSS. Is it still valuable? Thank you for mentioning that keyword research and creating great content is most important activity as that is where I spend almost 75% of my time. RSS is more about making it easy for others to find you, and less about the links it directly provides. Spencer, is it work for only bring visitor ? or it has effect in ranking ? I am glad that i have found this post as i am struggling with building links for my niche site too. It’s an amazon affiliate site. I am done with content and website setup. Now i have been doing some blog comments to gain some momentum. But haven’t embded affiliate links yet. So, should i embed the affiiate product links now on images or later? I see no reason not to add affiliate links now. Love this CommentLuv idea. Never even thought to look into that. Video worth the watch… like always! 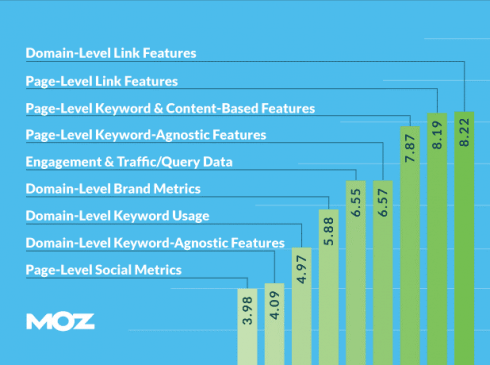 Spencer,Backlinks from commenting are still valuable.But,before commenting on a blog with link back to our site we have to check the spam score of that blog on moz. I don`t usually comment on blogs but I love your website`s design, especially the way it looks on desktop! Also appreciate all the things you do and information you share with us MNS owners, keep it up! Hey guys learning a lot, but i’m wondering what’s happened to Ryan and Jake? Been more than a month since we’ve heard anything from them. Are they still involved? Yes, they are still involved! Ryan is just very busy working two jobs and raising a family. He’s a very realistic case study…takes a long time to work on his site. They just finished another coaching call and may post as early as today. Thanks for a awesome post, I’m always looking for new ways to build backlinks for good traffic, I like your infographics strategy, I have been seeing lots of new infographic templates arising on the market, so I’ll give it a go, is there a good list of infographic sites that you use specifically? There are lots of sites out there. I would start by googling that exact question to find a best fit for your own website. RSS was an autobloggers nirvana 🙂 then plugins or sites can feed, respin, retranslate even and then repost. I had one that used to post 200 posts an hour and was getting amazing hits. Thanks again Spencer, have been following for a little while now and this is my first reply. This one had many nuggets for me! Will keep on following on with this case study! Very informative post Spencer! I really enjoyed the different methods involved in outreach and curating back links. Brian Dean has valuable information to utilize as well as Jon Cooper’s post on different back linking strategies was epic! Lots of good info! Thanks to Spencer and Samara for another great call! I am also interested in Mozie’s (above) question relating to infographics. If you eventually decide to monetize via amazon affiliate program then RSS may lead to some potential problem. Like to hear your thoughts about it? Why would that be a problem? All wordpress sites have an RSS feed automatically…its a non-issue. I never use RSS Submission strategy any time. I think it will work and I will do this. Thanks for sharing this strategy. Sorry to interrupt this article since the other one comments are closed. You told us before that Google Adsense did one time closed your account in 2012 but at that time, Why don’t you find an alternative to Adsense? I believe there’s like a few other online marketing partner that you can sign up with. No need for an alternative. I got a new account in 2012 and have never had issues since. Great post again. I follow your blog since you are recording the podcast. It did help me in many ways. However first time I have a extra questions. At the end of the video you are mentioning to Samara that those bacics link building strategies should be repeated monthly. Do you really mean it or I misunderstood something? I would appreciate your answer. No, don’t repeat the same type of links monthly. Find NEW types of links and build just a few each month. This could be outreach, infographics, or other types of links. I like the focus on not focusing on ONE link building strategy but a diversified link building strategy. It is amazing that link building for all its importance remains such a stumbling block for everyone building sites. I’d consider myself pretty well versed in the area of SEO but I’d never heard of RSS Directories before. I’m going to go submit my site to a bunch of those right now. Thanks for this detailed post and for letting me know about RSS Directories. I like how you broke things down into a simple action plan at the end of the post too. There’s something i’ve been wondering… If you are auto posting the same posts to Facebook as well as your website, would that not trigger a duplicate content penalty? These episodes are really helpful for me, thanks. I have a website that is doing really really well. Its an amazon affiliate site and only gets about 3000 uniques per month. All of the kw’s are highly targeted with buyer intent. I have discovered a way to target even more kw’s in a single article, but this would mean that I would have to edit those old articles and add new content. Do you think that adding new content to old post would mess up seo? No. It will improve SEO. Thank you so much for making the backlink process much less overwhelming. Now I have a list I can go slowly with. You are talking about “QUALITY RSS”. Do you have any specific RSS directories you recommend and what do you do to find relevant blogs to make comments on? Hey Samara, Perrin and they guys at Authority Hacker just posted a great list of the best Chrome extensions. Check out #4, Hoote Suite, for posting to all the social media sites at the same time. Hope your site is coming along well!!! Hoote Suite doesn’t really do what we are looking to do….auto-post without having to do anything. Hootsuite requires you to write your social posts first, then post. A very nice post, i think it is good for every blogger to be concerned about quality content rather than backlinks…though backlinks too is important but good content can give you organic traffic even without backink. thank you so much for the informative post, I learnt a few strategies from this post, looking forward to learn from you. Absolutely love these coaching calls, and I appreciate the fact you type out a lot of what is covered in addition to having the audio/visual. Some days I don’t mind the listen, others I feel like I need to re-read it ten times before it sticks. Some really great link building resources here. Thanks again! Another great video coaching call again! I replay this video for many times.